The new album from conductor and Baroque violist Simon Murphy and his award-winning Baroque orchestra from The Hague, The New Dutch Academy (NDA), is a celebration of the variety, vibrancy and vitality of the European Baroque. 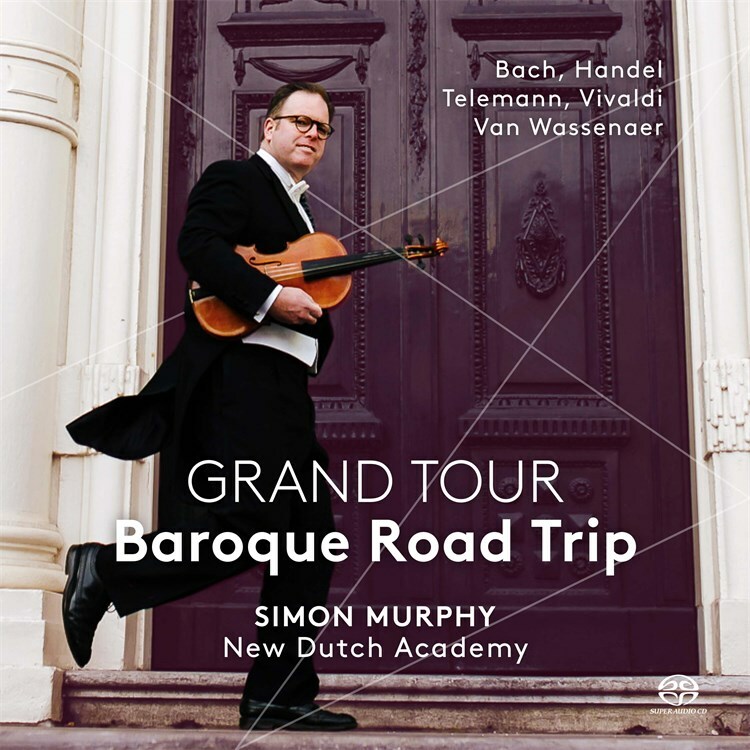 With Grand Tour - Baroque Road Trip, Murphy takes audiences on an exciting musical journey across Baroque Europe, meeting legendary musical personalities in the glittering musical centres of the time - from Bach in Leipzig to Handel in London, from Vivaldi in Venice to Van Wassenaer in The Hague. "Thrilling ... an unforgettable musical journey ... infectious energy ... outstanding playing" are just some of the responses from the international music press since the album release in May 2017. The disc is Murphy and the NDA's 6th album for Dutch quality label PENTATONE. The September 2017 official album launch concert in Amsterdam's The Concertgebouw was an all-round success. Murphy and the orchestra will continue to tour the album throughout Europe and around the world in the coming years. Check out the album teaser here! Album highlights include Murphy performing Telemann's classic Viola Concerto in G, Swedish lute virtuoso Karl Nyhlin in Vivaldi's sparkling Lute Concerto in D and German recorder star Elisabeth Champollion in Vivaldi's dazzling Flautino Concerto in C. Greek mega-diva, soprano Myrsini Margariti, sings a selection of Handel bravura coloratura arias including the spectacular “Brilla nell'alma”. "Sumptuous, vibrant, energetic and wonderfully secure playing"
Watch the album teaser here!